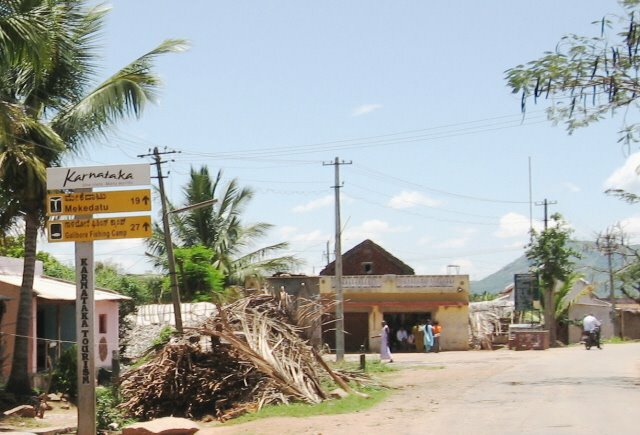 One of the getaways not too far from Bangalore is Mekedatu: about 100 km one way, just right for a day’s outing. And that’s where we decided to head for on April 7, a holiday. There were nine of us and we hired a Tata Sumo. When it comes to outings such as this, arguably the best guides are the bloggers’ accounts. There are quite a few, and from them we got a fair idea of what awaited us. 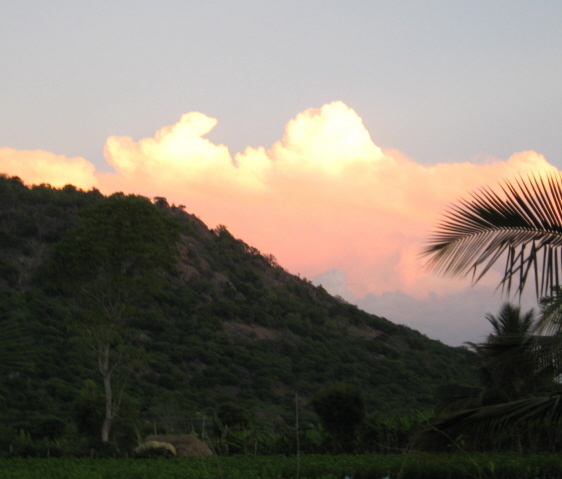 Mekedatu (translated in Kannada as “goat’s leap”) is a rocky terrain where river Cauvery flows. 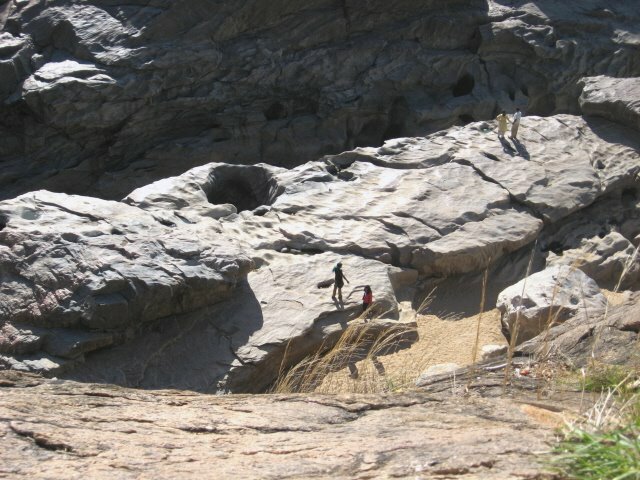 There is a deep gorge, and the gap between the rocks at a particular spot is where a goat is said to have made a leap. (An elaboration on the legend is welcome.) 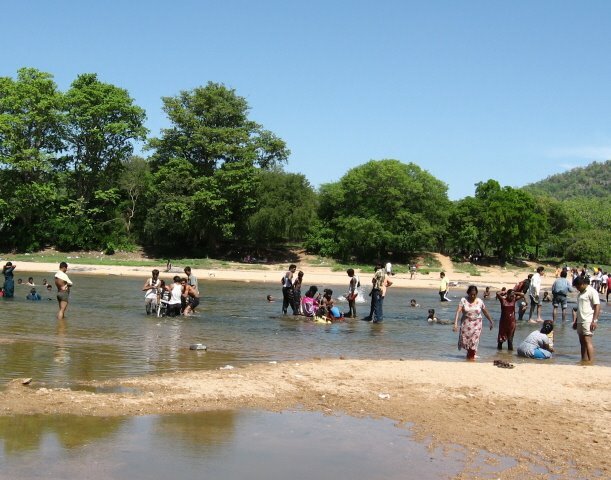 This spot is some 5 km from the Sangam, the confluence of Cauvery and Arkavathy rivers. Direct access by road is only till this Sangam. 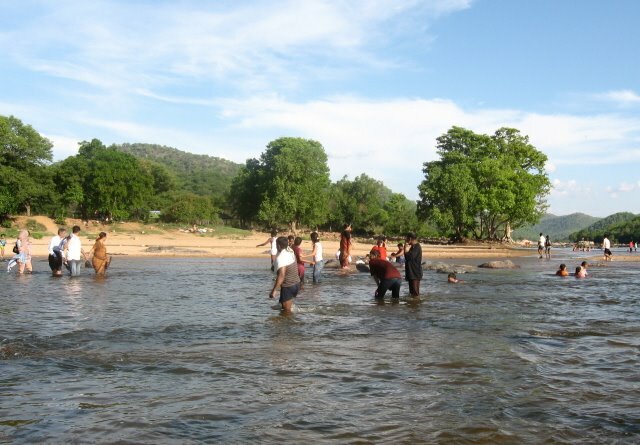 After reaching Sangam to reach Mekedatu, one needs to cross the river — carefully walk across during summer or use a boat when there is lot of water — and either trek up the wooded slope or hop on to a bus. Though we decided to leave at 8 am, the vehicle arrived late. So it was 9.45 am when we left. None us, not even the driver, knew the way; we only had a rough idea of the direction; and we headed straight on the Kanakapura Road. Being a holiday, there wasn’t much traffic. After some 25 km, the vast stretches of land, the greenery and the unobscured view of the blue sky gave us the unmistakable and refreshing feeling of being out of the city. The road was the best relief: but it also left us puzzled as to why the globally renowned Bangalore city has to put up with potholed roads. But as we neared Kanakapura town we ran into a horrible stretch. To our bad luck, it proved too hard for even the Bangalore-hardened tyres of the Tata Sumo. About half an hour was spent there in replacing the flat tyre. 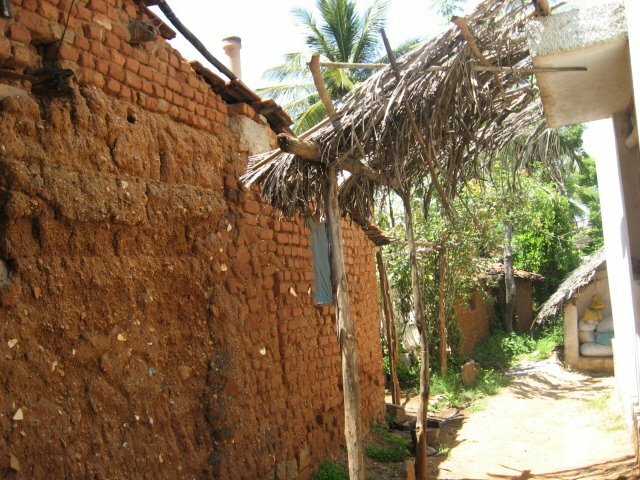 We then travelled through rural areas bareft of any signs of modernity. We saw many huts and cattle; and some stretches gave us a feeling of being in the midst of some rustic hinderland. As we went ahead, we nursed a regret: of not getting the flat tyre patched up. 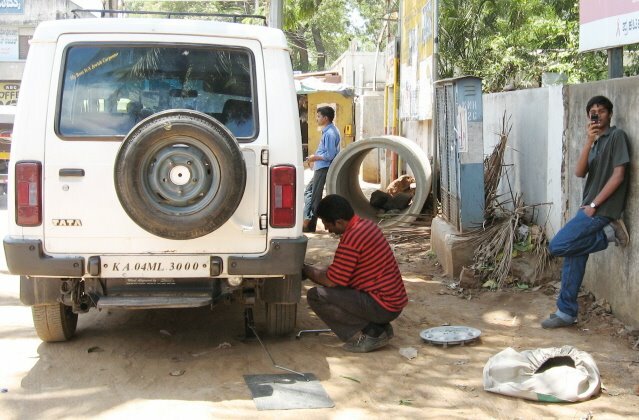 It worried us as well: what if another tyre gets punctured? We even conjured up adventurous scenarios of staying over in the village huts and calling up the office the next day to say we aren’t reporting for work since we are stuck in a remote village! Some 10 km before the Sangam, we saw signs of human life, and without losing time we asked where we could get the puncture fixed. We were lucky to find a place. The guy there said it would take at least 30 minutes but we were ready to wait longer. After some 45 minutes, we resumed our journey. It was almost 1.45 pm and we were hungry. 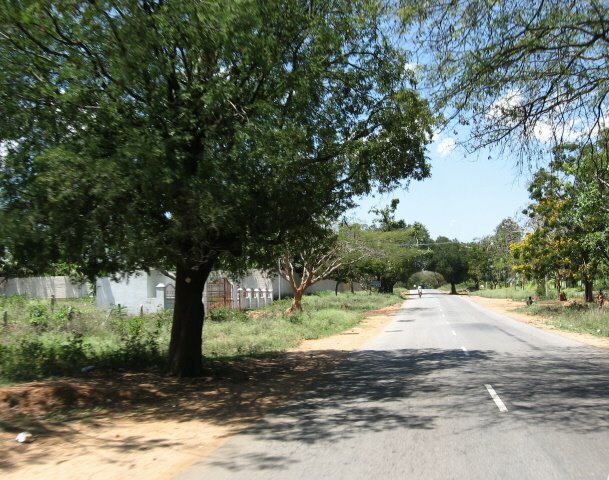 Seeing the road, we felt we took the right decision to get the tyre fixed. In another 20 minutes we reached the Sangam. We had our food, and then got into water. The water didn’t look deep, and we held each other’s hands and crossed the river. Close to the other bank, we splashed water on each other and had good fun. Quite drenched, we ventured to explore the other side. 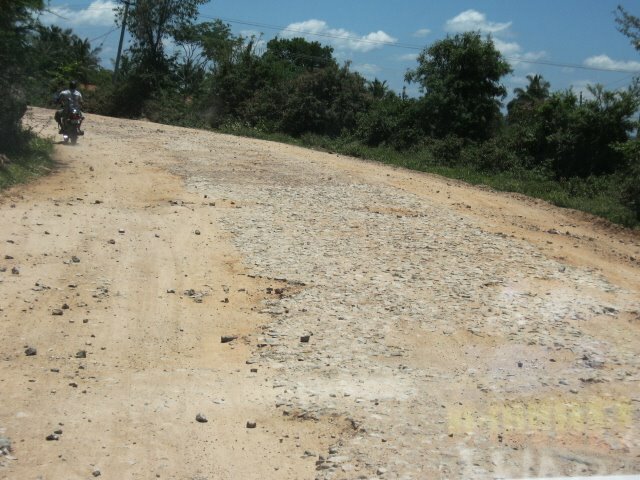 Some 5 km ahead is Mekedatu. It was close to 3 pm,and since we were already running late, we almost abandoned the idea of going ahead. 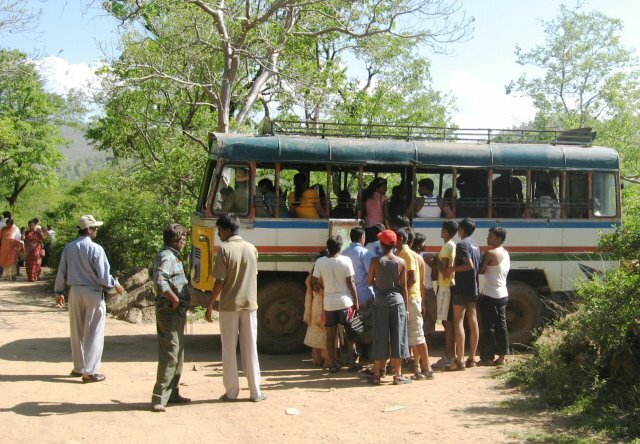 Just when we about to return to the river, we saw a ramshackle bus revving up. That was the shuttle bus which takes passengers to and from Mekedatu. Some quick enquiries about the time we would be back, and we clambered on to it. One rickety contraption called bus, it rattled its way ahead. Sitting or standing, one had to struggle to keep from falling. The to and fro fare is Rs 40 per person. 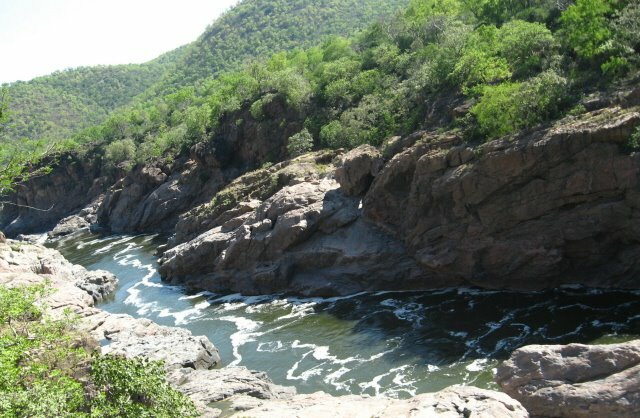 One could see the deep gorge and Cauvery river flowing by the beautiful rocks. Around 5 pm we were back at the Sangam. 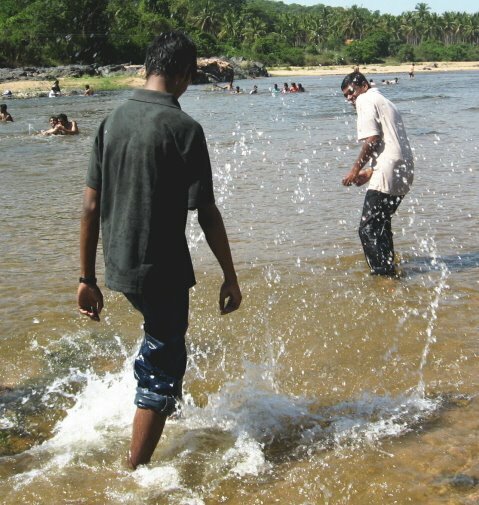 There was another round fun in the water, when all of us got completely drenched head to toe. At 5.45 pm we called it a day. We rounded off the trip with a chilly bhaji and omelet party. At 6.15 pm we started our return journey. The sky at dusk presented a spectacular view. We noticed that much of that village stretch had no street light. We saw an accident – a motorcycle had come under the wheels of a bus. We were in Koramangala around 9.15 pm, and we got into Anand Bhavan restaurant for dinner. 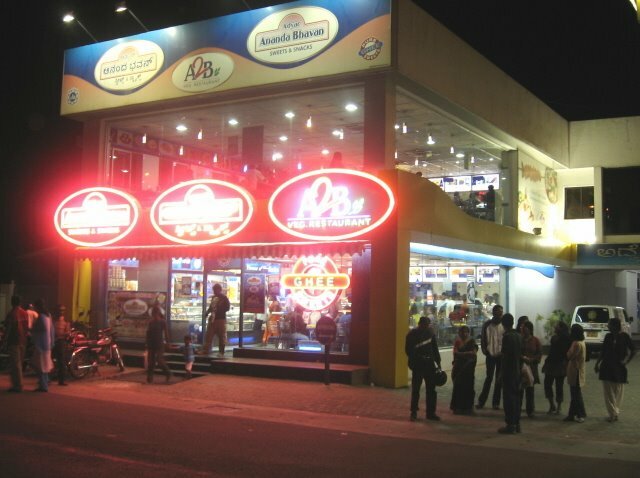 A customer-friendly place with a warm ambiance. With lots of space, friendly staff, and quick service, it was a great way to sign off the Ugadi outing. Though we started off late, and lost time due to the tyre problem, on the whole it was a fantastic trip. 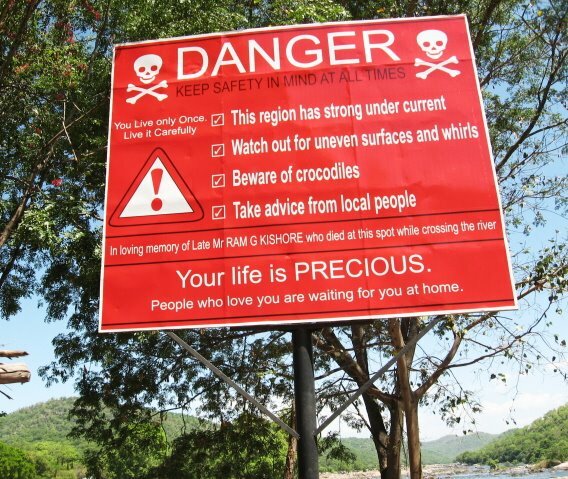 It pains to see the place is crying for attention of the tourism corporation. The nature’s beauty is marred by bottles, paper plates and other litter scattered all over. There is no good restaurant: only roadside eateries; no hospital or first aid facility for emergency; no communication facilities: mobile phones go dead; no petrol pump or automobile workshop. Indeed there is a sense of adventure in missing out on these; but the complete lack of an institutional support mechanism to face an emergency is a serious shortcoming. 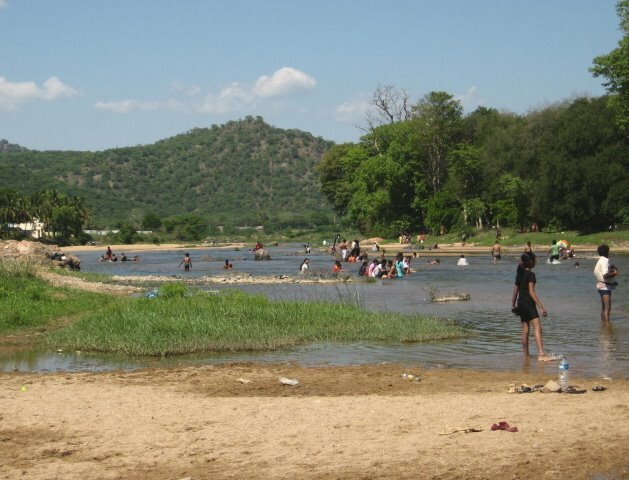 The scope to develop the area by keeping the natural tranquility and roping in local people is a lot. The hundreds of tourists who come to this place deserve a better deal. 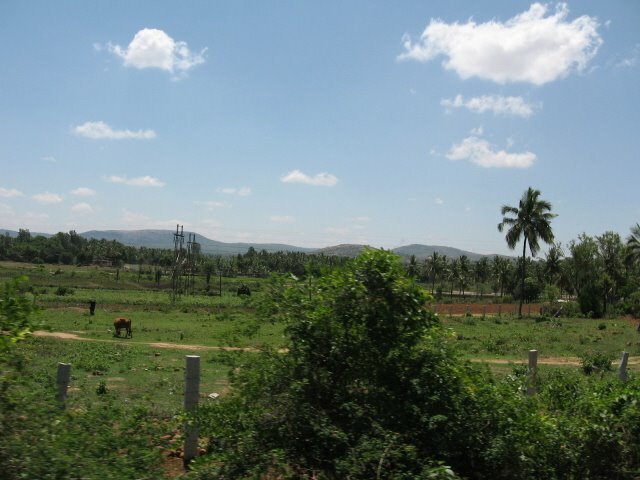 Will the Karnataka State Tourism Development Corporation do something? This is a just a summary. Click on the link to read the full post. Mekedatu is nice, was thr saturday with MS com dept, CMR. Seems to be anice place for an adventerous trip. Thanks for introducing such a spot. Hope the Karnataka State Tourism Development Corporation wont do anything to spoil the natural beauty and thrills the place has to offer. Colour of bra -- is breast cancer a joke? the6derbyshire site on Wow! A welcome relief! code promo on Wow! A welcome relief! kampanjkod norwegian student on Wow! A welcome relief! Willa on Wow! A welcome relief! Maxtest Xtreme Trampoline Kanata on Wow! A welcome relief!